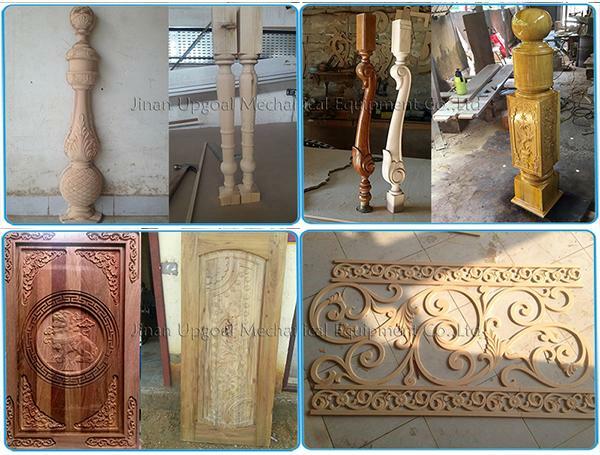 Woodworking industry: three-dimensional waved plate, cabinet door, craft door, overlaid wood composite door, screen, solid wood door, craft casement window, etc, such furniture product milling and engraving, also for shoe-cleaning machine, game machine cabinet and panel, mahjong table, computer table and auxiliary processing of panel furniture,mainly used for cabinet door, solid wood furniture, also can for MDF cutting & processing. 1. Strong welded steel tube structure as a whole with vibration Temper aging treatment ensures no deformation for long time.Cast iron Gantry, the structure is strong and stable. 2. Transverse aluminum alloy T slot working table, better for materials fixing. 3. Large power 3.2kw water cooling spindle which is with stable performance, lower noise, powerful and high torque, matched with high-performance frequency inverter. with temperature, better supervise the water cooling temperature of spindle. 4. 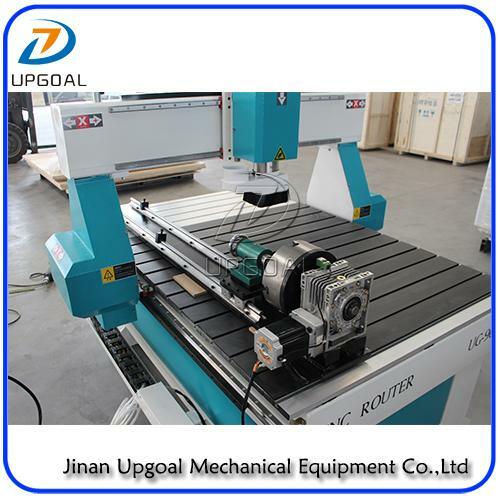 Imported Hiwin, Taiwan Linear square guide rail with ball bearing slide block which ensure high weight capacity, high precision, smooth and steady running. 5. Helical gears pinion and rack transmission for X and Y axis, higher running speed and efficiency, saving cost. 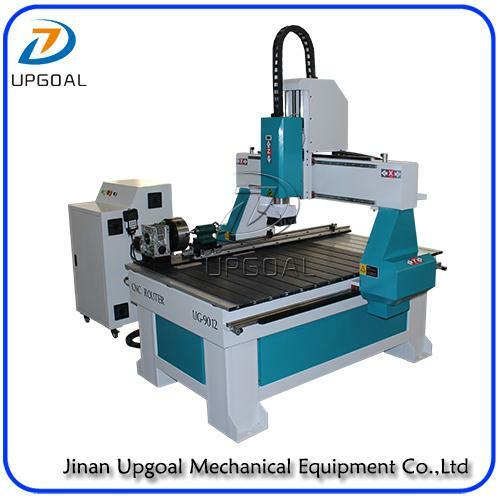 Z- axis with precision lead ball screw, high precision and more durable. 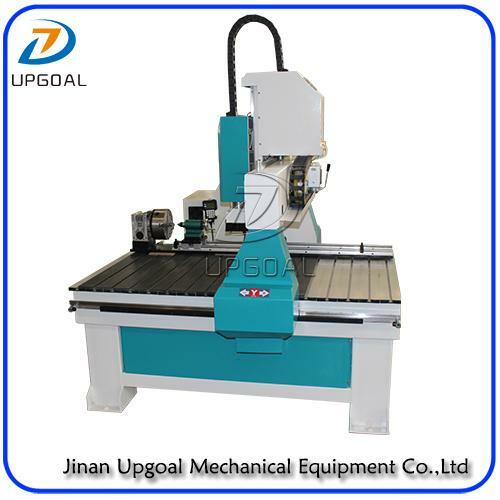 6.4th axis rotary axis, diameter 200mm, working length 1200mm, reduction gear transmission, ensure the cylinder processing precision. 7. China famous 86BYGH450B stepper motor and driver for XYZA-axis, high precision, fast speed and more stable, dual motor Driven Y axis with traveling speed up to more than 25000mm/min. 8. DSP A11(RichAuto) offline control system with USB interface which is completely off from Computer. More Humanizeddesign with Simple and Convenient Handle type operation.With per-calculation rule, fully excavating potentialities of motors. 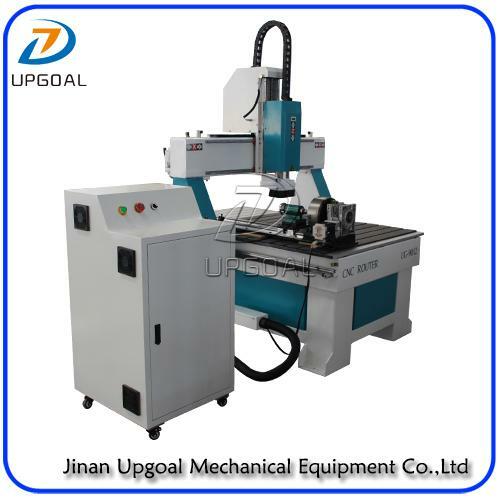 Enable high processing speed, synchronization of Curve and straight line, more perfect curve working and Spindle start up and stop automatically. 9. Independent contrrol cabinet with famous electric parts, ensuring machine precision & stable moving. 10. Semi-auto lubrication system more convenient for maintenance. 11.Auto tool calibration, more convenient for each time Z-axis 0 point setting. 12. Favorable compatibility with various CAM softwares such as Type3/Artcam/Mastercam/Caxa. With intelligent over limit protection function which can stop the mechanical collision due to unproper size given to the design. 13. With the function of Break-point memory ,power failure resuming and automatic home/orgin correction function, effectively ensure long time working precision.